I love Lego. So much so I still buy it. I remember having some of the earlier 1975 Minifigures but they weren’t as articulate as the modern ones invented in 1978 and didn’t have moving arms or legs. Needless to say I wish I’d kept them. I don’t remember them having anything other than a smile and two eyes. You had to use your imagination if you wanted a different race or gender. Perhaps Lego wanted to avoid potential stereotypes. Then again, with the first female Minifig being a Nurse, perhaps not. I think of the Lego minifigures (or ‘Minifigs’) I have now as an investment for when my kids are old enough to appreciate (and not eat) them. That seems like a reasonable excuse as I stand in various toy shops fondling the individual collectors packets and cross referencing Google to find out if the series 6 secret packet dimple codes are online yet. While collecting a few Minifigs through the years I often wondered why certain characters were unavailable. With over 4000 individual Minifigs to collect and over 4 billion produced since 1978 you would think they’d have most of the historical figures covered. I then realized, there’s franchising and licensing to think of and perhaps some may never be released due to the controversial nature of their lives. 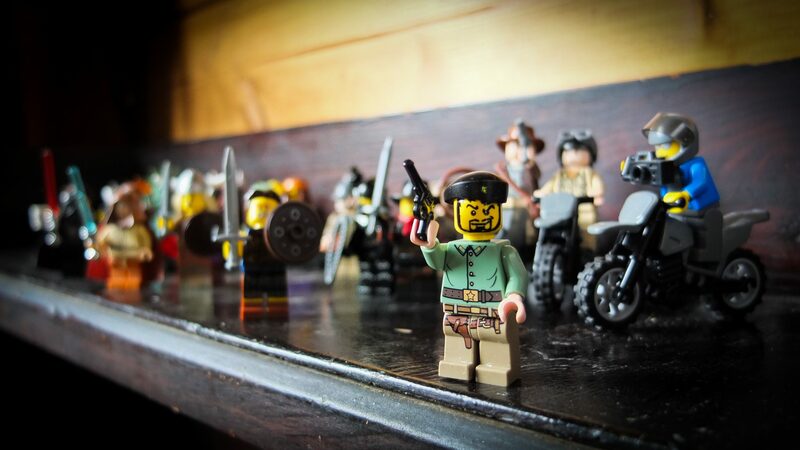 Whatever the reasoning, it didn’t stop the incredibly popular Minifig customization movement from filling the gaps. 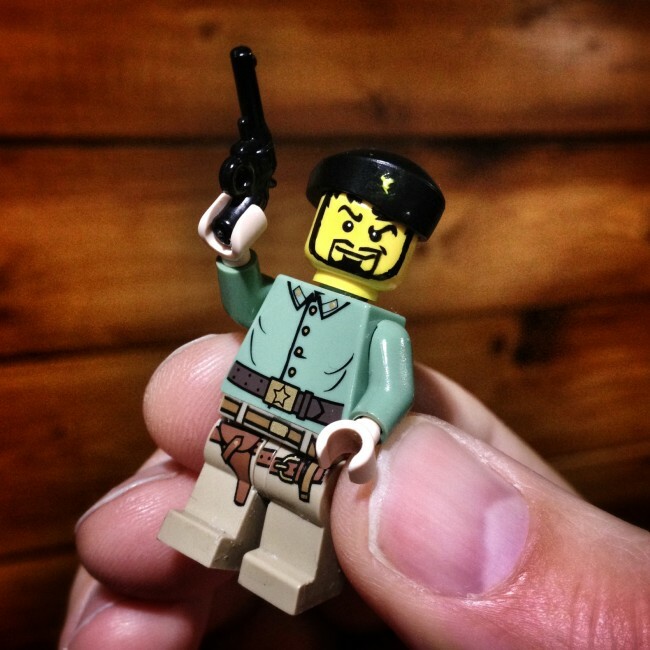 Between BrickForge’s custom weapons and the Minifig Customization Network all character gaps historical or otherwise now appear to be filled. You only have to do an image search on Lego Minifig Hitler to see that. 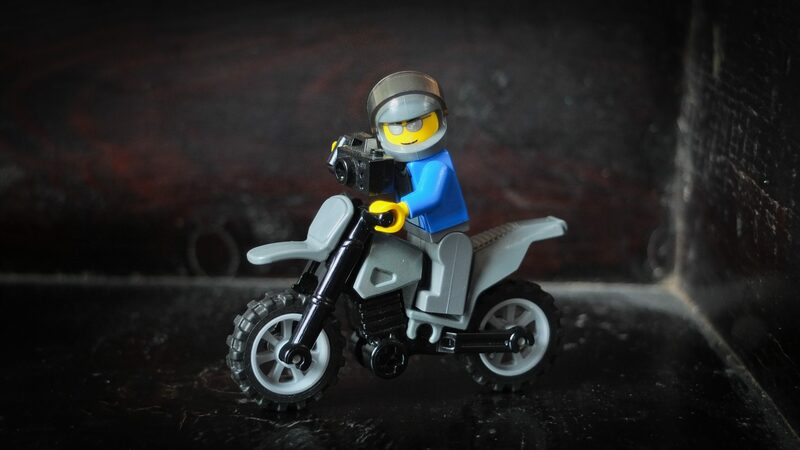 So a few years back I thought I’d make a minifig-me (the motorcycling photographer below) and more recently I had a go at creating a Che Guevara. For a first attempt I don’t think it’s too bad. I could really do with getting the yellow star sorted on the Beret and my hand painted facial hair leaves a lot to be desired. Still, not bad though for something I do when rendering video or waiting for a DVD to burn. Please let me know if you have any weird and wonderful Lego creations. Mainly so I don’t feel so alone in my plastic play. For me it all started too long ago to be a midlife crisis. Come to think of it I’ve been playing with Lego for over 37 years. I still have some of my original bricks. I quite like the idea of using them to build a case for my Raspberry Pi. Cheers, there’s some fascinating stuff there.